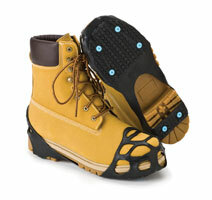 These ice/snow traction aids are designed to fit over most types of footwear to prevent slip-and-fall incidents. Lightweight and compact, they feature replaceable tungsten carbide spikes and a unique “Pulse Grip” tread design for superior traction. A spike placement design provides more comfort while improving traction. A proprietary natural rubber compound maximizes durability while maintaining elasticity in subzero conditions. DueNorth by Sure Foot Corp. 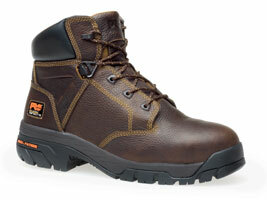 The WK630 Lace-R is a waterproof boot with a composite toe that exceeds ASTM F2413-11, I75, and C75 standards for impact, compression and electrical hazard at a fraction of the weight. It also features MetGuard, a shield overlaying the composite toe and running to the top of the instep for complete armor-like protection of your metatarsals. The Women’s Detroit series of work footwear has waterproof nubuck leather uppers and breathable membranes that allow moisture out but never in. A Dri-lex footwear lining with hydrophobic/hydrophilic two-zone comfort technology provides increased air circulation to help keep feet cool and comfortable. 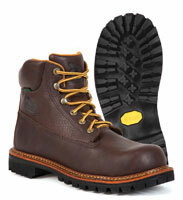 Anatomically correct left and right steel toes deliver lightweight comfort while satisfying ASTM safety standards. With the Chieftain series of work boots, strength comes from a sturdy Goodyear welt construction and an abrasion-, heat- and chip-resistant Vibram outsole. 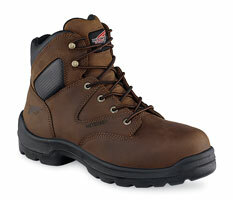 Finesse is added with soft leather, a padded collar, an extra-thick footbed and an extra-roomy steel toe. Waterproof and insulated options also are available. 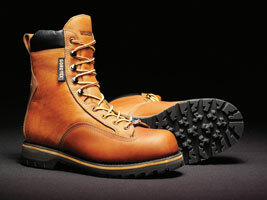 The Sierra Nevada Mid-Style #630225 safety boot is designed to combat everyday working risks and varying ground conditions. 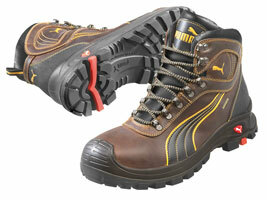 The 6-inch-high boot comes with a spacious composite toe cap, EH protection and a seam-sealed waterproof membrane. The gelCELL cushioning system is integrated in the heel area to provide essential shock absorption and energy return. ForceShield technology protects feet from falling objects without the stiffness and bulk of traditional metguards. It uses a material that meets ASTM F2413-05 metatarsal standards for impact, while remaining soft, flexible and breathable under normal conditions. Made of a revolutionary thin, soft material, it offers flexible, comfortable protection from dangerous work drop and impact hazards. The design of the Helix work boot is lightweight and durable, and has an alloy safety toe and anti-fatigue technology absorb shock to make the boot comfortable. 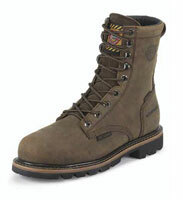 The boots feature slip-, oil- and abrasion-resistant outsoles, waterproof membranes and electrical hazard protection. The active heel lock helps secure the heel for an optimal fit. The men’s Northman Boot has premium Horween leather uppers and an optional 400 grams of Thinsulate Ultra Insulation to keep feet warm in chilly weather. 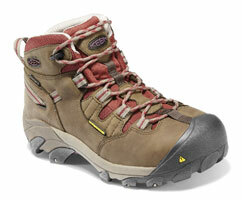 A GORE-TEX waterproof lining ensures feet stay dry and comfortable. A PU footbed provides cushioned comfort and a Dual Density PU Vibram 360-degree rubber lug outsole allows for multi-directional traction.